It isn't easy being one of us - a person caring for someone living with Alzheimer's or a related dementia. I describe my own personal journey as the path from heartbreak to Joy. I'm sitting here thinking about my mother and the beautiful Banyan trees in Sherwood Forest. Sherwood forest is a neighborhood that is adjacent to ours - right up the street in fact. During the period of heartbreak we would drive up the street and Dotty would marvel at all the big beautiful Banyan trees. She would say the same thing over and over - look at these trees. Look at that one it is really beautiful. Look at that one it doesn't look so good (it was not properly taken care of). The truth be known, in the beginning, it would bug me that Dotty would say the same thing over and over. Of course, I would say something gnarly like - you said that 100 times already. Sherwood avenue is a long long street almost a mile long. 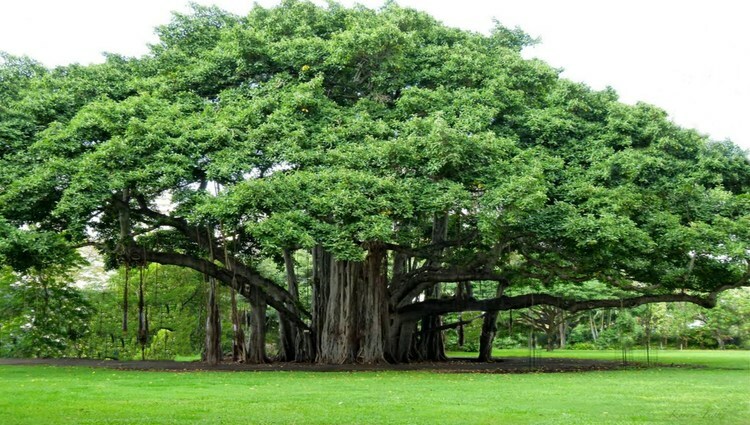 And on every single property there is a Banyan tree. Eventually, I started listening to Dotty. I could hear the amazement and wonder in her voice. Those trees made her happy, they made her feel good, they made her smile. For her, every time we saw those trees it was a brand new experience for her. Like she was seeing the trees for the first time. Once, I passed over into Alzheimer's World and started to accept that my mom was deeply forgetful, I started listening to her, instead of correcting her. Before long something amazing happened to me. I finally started to look at the trees (I still do). They are truly amazing, remarkable trees. Now when I look at them they make me feel happy, and just like Dotty they mesmerize me. Incredible isn't it? How the brain works. For years it would bug me when Dotty would start remarking about those trees. But finally, and after I made it to Alzheimer's World, I came to the conclusion that Dotty was nothing more than deeply forgetful. She forgot she saw the trees. Why was that so hard to accept for so long? She forgot, pure and simple. So as I sit here writing with tears in my eyes, I am remembering that everyone gets to choose. Heartbreak or Joy. All you really have to do is open your heart, open your brain, open your eyes, and open your ears and listen. Dotty was truly happy, mesmerized, and alive when she saw those trees (more than 1,000 times I might add). And now, so am I.
I think you could say that Dotty taught me how to smell the roses. How to see the wonder of it all. And this is wonderful feeling. Did you ever read the article about Dotty's Fractured Fairy Tales. The same thing happened to me with these tall tales. In the beginning they bugged me, later on they fascinated me. Dotty could really nit together a tall tail. She would tell it with such compassion and belief that the listener would believe every word she said. Of course, I knew better. But, on the other hand listening to Dotty and watching the look on the listener's face was truly remarkable. They seemed happy and excited so I decided to stop fighting it. And then, I became happy right along with them. Dotty taught me quite a bit when she was living with Alzheimer's. She taught me how to think, and feel, and how to enjoy life. She taught me how to listen and accept. On May 7, 2005 the heartbreak started to subside. And then the Joy started to build up. I guess you could say this was when dementia care became wonderful for me. Wonderful instead of burdensome. So yes, it is hard being one of us. But for me personally, I wouldn't have it any other way. Dotty taught me how to look at the trees. So instead of being the kind of person that can't see the forest for the trees, I can now look at each one of the trees separately and see the forest as a whole. It is all about gaining a little bit of acceptance and perspective. Bob DeMarco is the Founder of the Alzheimer's Reading Room (ARR). The ARR Knowledge Base contains more than 5,000 articles and 407,000 links. Bob lives in Delray Beach, FL.